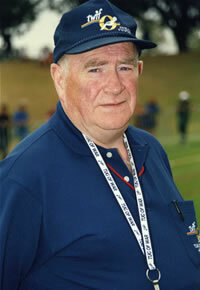 On Saturday March 19th Frank Powell`s family and friends will come together to remember his passing one year ago. Frank was a very close friend and although a neighbour we never got to know each other until he took an interest in tug of war in the early seventies. Our first trip together was to the beautiful town of Engelberg in Switzerland in 1974. He had his first drink as we flew to Capetown in South Africa in 1976. We travelled to Germany in 1978 and the next year to the U S A where we met some people who were to become like family to Frank in the next 30 yrs. 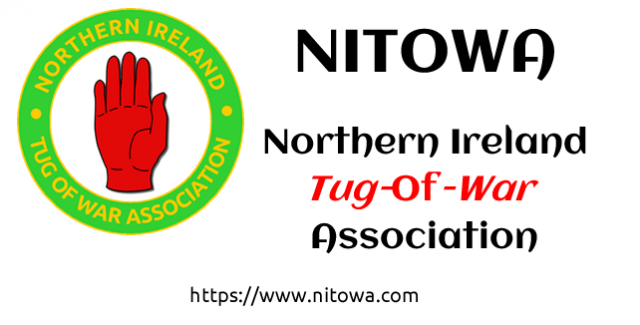 We travelled to many places in the name of tug of war, met many people and saw many things; our lives became entwined not only in sporting circles but on social occasions as well. Frank kept his family life very private and when he passed away his family were surprised to discover another side of Frank, his tug of war world. I know that his many tug of war colleagues will be thinking of him on this day. I certainly missed him this past year. During the UK outdoor Championships at Enniskillen, the Powell family handed over a cup to Rosemary Smith who is chair of the UK Commission. 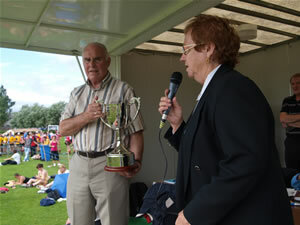 The trophy in Frank’s memory would be competed for at 680kgs (indoor) Open Championships. 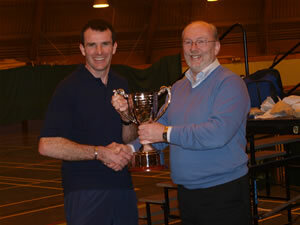 The cup was competed for, for the first time at the UK indoor championships held in Perth, Scotland in February. I had the very great honour of presenting the Frank Powell memorial cup to the winners of the 680k Opens, Tinto, from Scotland.